Server breakdown, database errors, data loss, application and website crashes, usually encountered by businesses during their journey to the cloud can lead to lost time and resources causing damaged customer relations, loss of employee productivity, and profit losses. 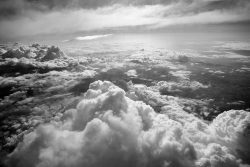 As an increasing number of organisations dive head first into the powers of the cloud, IT leaders are realising that the migration to the cloud and integration into their legacy IT organisation is more complex and challenging than anticipated. This is not to say that a cloud hosting solution can’t offer massive benefits to organisations that adopt it – but doing it the right way will help organisations reap full benefits of a cloud hosting service. • Reduction in investment costs. • Higher flexibility and scalability. • Higher uptime and better business continuity. • Up-to-date operating systems and infrastructure. • Better accessibility from anywhere. But all of these benefits might be negated if the migration to a cloud hosting service is riddled with problems. How can organisations manage cloud migration risks and maximise its benefits? The answer lies in rigorous performance testing. With more than 70% of organisations adopting the cloud, we’ve begun to see a pattern in the way some of them approach the process. It is important to note that although the cloud is virtually infinitely scalable, that does not mean that legacy programs being migrated over to the cloud will necessarily scale up seamlessly. The way to ensure seamless and trouble-free migration before a full organisation cloud service rollout is to test it. Pre-migration testing is the only way to locate and eliminate any hiccups before they happen out in the ‘real world’. For an IT team to ensure that its organization has a fully functioning cloud within a secure environment, testing protocols should include general performance and compatibility testing as well as security and vulnerability testing. • Functional validation. This includes software as a service (SaaS) and cloud hosting service functions as well as testing end-to-end applications for performance issues. These tests should happen once all the data and legacy applications have been moved to the new environment. • Integration testing. When your organisation has hybrid architecture of legacy and cloud-based applications, it is critical to undertake integration testing. This includes testing for integration between the cloud and legacy systems as well as SaaS. It is important to pay special attention to any breaks in the chain that will reduce or hinder performance. • Security testing. With increasing ransomware and malware threats, it has become critical to ensure all systems and applications have strong security, wherever they are located. This includes testing physical security such as data security during transport and storage, user privacy, and logical security such as network connectivity. Ensuring that sensitive data is well protected should be a cornerstone of the testing before an organisation-wide cloud rollout, including perimeter security, IPS, IDS, and malware filters. • Scalability and performance testing. One of the key benefits of moving to the cloud is its ability to support scaling. Organisations must ensure their systems and applications scale as they expect them to. Scalability and performance testing includes creating stress and load tests to ensure that the cloud will host maximum workloads and maintain performance levels. Putting pressure on the new cloud environment will show you how it operates at peak workload volumes and will reveal whether the cloud can scale as it should. Why even bother testing though? This might all be starting to sound like a lot of work for a service that sometimes seems like it’s been touted to be a plug-and-play solution. That said, it’s important to know that testing in a cloud environment is inherently not the same as testing in a traditional environment. It can be a critical mistake for organizations to assume that applications and programs that ran perfectly fine on a traditional dedicated servers will run the same on a cloud hosting solution. During the migration, there are a number of points and factors that come into account that can create instability and breakdowns, like legacy systems, aging hardware, and performance needs and tolerance. Testing will push the new environment to its limits, ensuring that the cloud environment will play nice with legacy systems and your end users will receive the performance they need and deserve from a cloud hosting service. Pre-migration testing will identify issues relating to performance, scale, security, and integration so the IT organisation can troubleshoot and resolve them prior to organisation-wide migration thus mitigating large-scale risks that would otherwise affect hundreds of users and the business as a whole. Speaking with employees about their performance needs on a day-to-day basis and leveraging your best IT employees to work on the migration can both assist in mitigating issues before they crop up on a wide-scale basis. We’d like to leave you with a few tips when it comes to testing a cloud hosting solution. • Make sure you have the right people. Testing shouldn’t be a half-hearted attempt before migration but something you put your best people on, because testing is how you set yourself up for success during a cloud migration. • Ask your employees. Find out what they need performance wise. Their insight can often alert you to potential potholes before they happen. • Test and test again. Testing should be done on a regular basis even after the migration to ensure that the cloud hosting solution continues to work on a reliable basis. 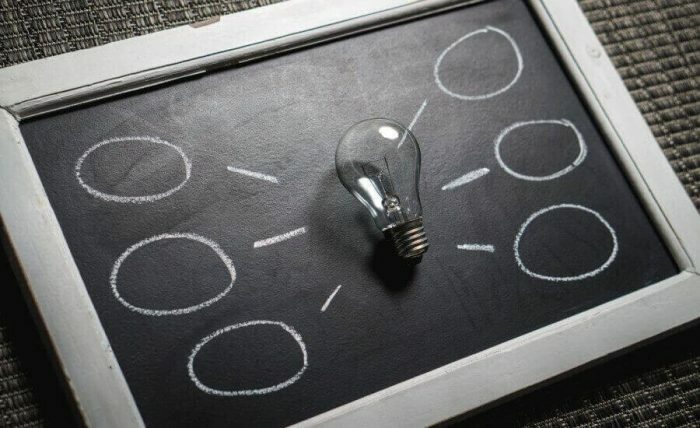 A cloud hosting solution can bring a dynamic, powerful platform for your organisation’s best ideas and innovation, but only if the cloud has been fine-tuned to respond to your organisation’s needs, whether that’s integration with a legacy system or the ability to dramatically scale at a moment’s notice. With the due diligence to test before migration, an organisation can orchestrate a smooth migration from legacy systems to the cloud. Macquarie Cloud Services offers a no-hassle cloud hosting migration process. Contact us today to find out more!